Nearly one year after Google rolled out its Allo instant messaging app for smartphones the company has a desktop version of the technology as well. The desktop version of Google's instant messaging platform currently only pairs with Android but support for iOS is coming soon, Google says. It allows users to chat with mobile users on a one-on-one basis and in a group setting using their web browser on a desktop. Like its mobile counterpart, Allo for web supports the use of several features that are commonly found in other instant messaging applications, including stickers, emojis and doodles in the content of a message. Allo for web also supports a 'Smart Reply" feature that allows a user to respond to a message without actually typing in anything. The feature is powered by Google's machine learning technology and basically studies the content and context of a message and suggests canned responses. Google currently supports the smart reply capability in multiple language versions of Allo including French, Portuguese and Indonesian. 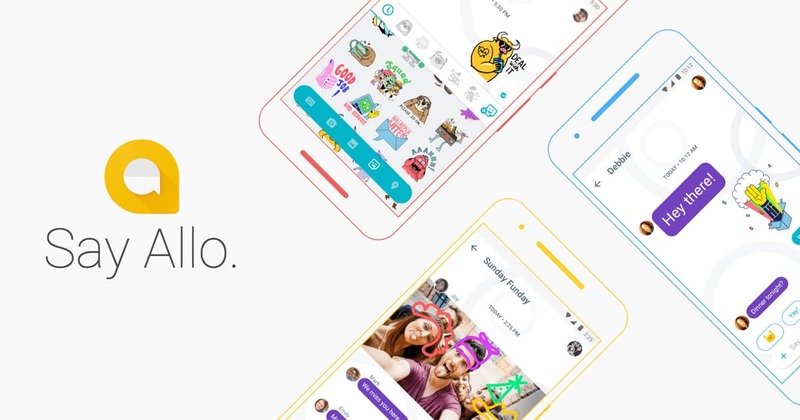 In order to use the desktop version of Allo, users need to have the mobile version of the app installed and registered on their smartphone as well. Users have to open the mobile app and click on the 'Allo for web' icon on the mobile app menu. When the user opens the Allo for web application on the desktop, it serves up a unique QR code, which the user has to then scan using their smartphone app. This process ties the user's desktop version of Allo to the mobile app. The QR code essentially links the mobile application to the desktop app so that Allo for web mirrors whatever is running on the user's Allo mobile app screen. If the mobile device's battery runs out, or if the user shuts the mobile device off, the desktop instance shuts down as well. Allo for web is designed purely for desktop use and cannot be viewed via a mobile browser, according to Google. Because the QR code uniquely links a user's desktop version of Allo to their mobile app, it means that the user can only use the Allo for web app on one desktop device at a time. Only users of Android devices can currently pair the mobile version of the app with the desktop version. According to Google, pairing for iOS will be available soon. But the company has not specified when that will be available. While Allo for web mirrors everything that the mobile version does, there are still several additional features that are only available on the mobile app. For instance, a user can still only connect, switch or remove a contact via their mobile app. Similarly, changes to notification and privacy settings can only be made via the mobile app. In addition, chat features like deleting a conversation, blocking a contact, taking a photo or initiating a conversation with someone not already in the user's contact list can only be done with the mobile app. Google launched Allo as an alternative to cross platform instant messaging apps like WhatsApp and Facebook's Messenger. Both these technologies have hundreds of millions of users around the world and are infinitely more popular than the native chat clients available via wireless service providers. Google has positioned Allo as its default Android chat client and the company has said it wants to roll the app out to users worldwide.